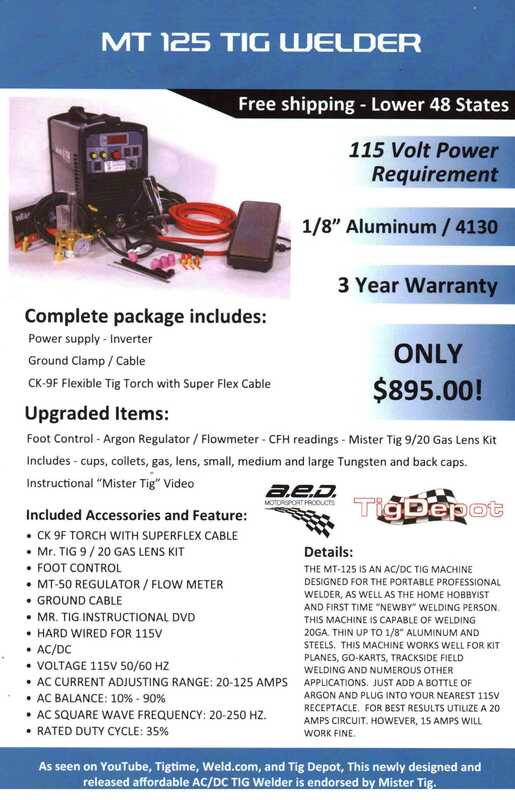 115 Volt Tig Welder Now On Sale! The MT-125 is an AC/DC TIG Machine designed for the portable professional welder, as well as the home hobbyist and first time welder. Capable of welding steel and aluminum as thin as 20GA and thick as a 1/8". Only $895.00 Call or Email A.E.D. to get yours today!